In a last desperate move to acquire the care their eleven-year-old autistic son needs, Ben and his wife, Emma, agree to fake a separation. Because councils always look more fondly on a single father, right? Their son, Jonah, is far more likely to placed in a school that understands the care he needs if it’s just his father looking after him, right? Ben packs their bags and they move in with the only person that he can turn to, his father, Georg. Their relationship isn’t great (Georg always make him feel useless and isn’t scared to point out Ben’s drinking problem) but Georg loves Jonah and understands the care he needs. As Ben feels Emma drifting away, he’s swamped by the paperwork, the financial strain and the constant care that Jonah demands. The family business suffers, Ben takes refuge in the bottle and relies on his elderly father far too much. Soon comes the point where Georg can’t pick up the pieces and for the first time in his life Ben has to face up to the guilt and anger that’s haunted him for years, start listening and take control of his life so he can help the ones he loves. 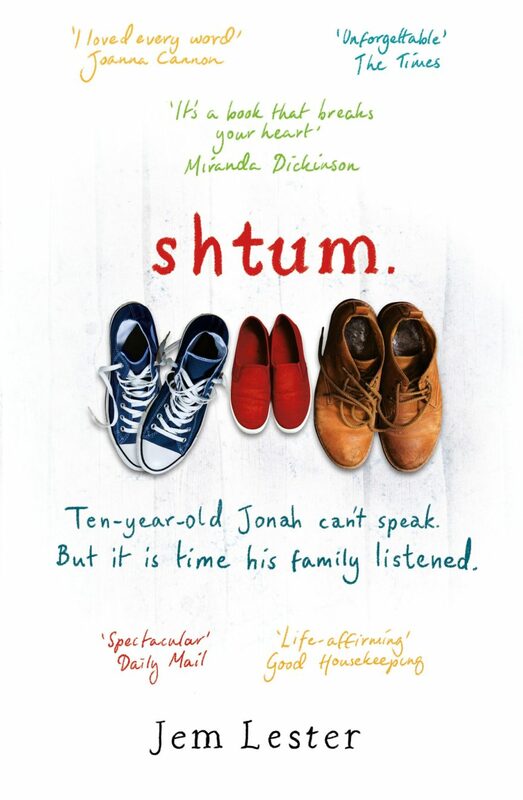 Shtum is a brilliant and completely devastating read. Ben’s life is a constant battle and even when he does something selfish or stupid, you may want to scream at the pages but you also empathise with his situation. This is what makes him such a great character that you just can’t turn away from. I can only guess what real parents in a similar situation must go through but his emotional swings between wanting the best for his son, the best for himself and the guilt that drenches every decision feel very realistic. Kicked when he’s down, Ben’s journey isn’t an easy one and I warn you, this novel will probably have you in tears. Shtum may be stomach-churningly painful to read but it’s also uplifting and touching to a point that it evens out into something truly wonderful.